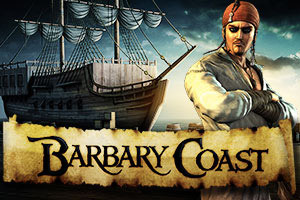 Benjamin Sawyer dares you to enroll with him and navigate in the search of the biggest treasure in Barbary Coast. With the challenge that you will need to fight the ruthless Barbanegra. Get 3 or more parrot symbols to activate the free spins. Enjoy the companionship of the talking bird and obtain free coins. Get the cannon symbol on the central reel to detonate the explosive. Get 3 or more Ben Sawyer symbols on any active pay line to win instant bonus coins. Get 3 or more symbols of Captain Barbanegra on any of the active pay lines to activate the sword duel: Dare powerful Barbanegra to a sword duel to win coins and rescue the beautiful lady. 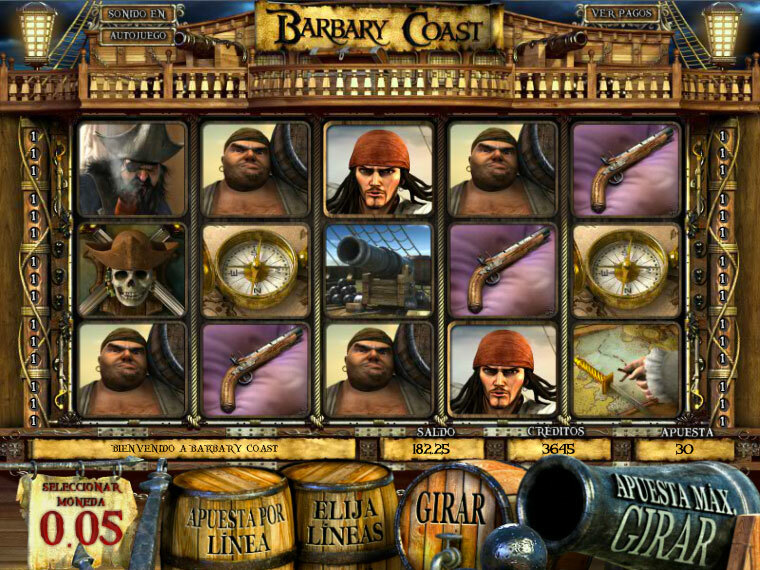 Get 3 or more pirate symbols on any of the pay lines to start the drinking contest. Heads or tails and prove you know how to handle your rum drinking more than a pirate.